DENVER — After years of planning, hundreds of hours of community input and several lawsuits aimed at stopping the Colorado Department of Transportation’s plan to lower and cover part of I-70 with a park, Denver’s first major freeway project in 15 years will begin Friday. The Central 70 project will widen and lower a ten-mile section of highway between I-25 and Chambers Road. 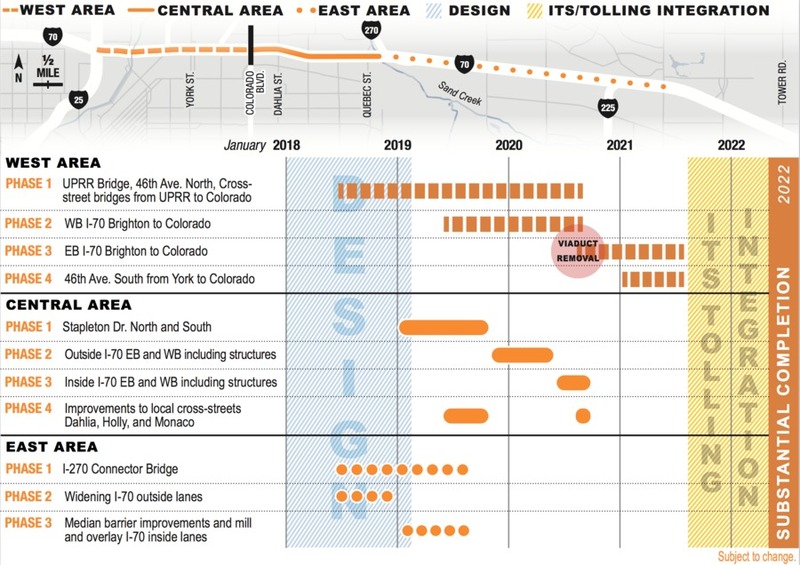 CDOT provided this new graphic showing the detailed timeline for each phase of the project and the communities it will impact. CLICK HERE for what you need to know ahead of I-70’s four-year widening project.